The Unique Guitar Blog: Al Caiola, One of New York Cities Most Prominent Session Players Has Passed Away. Al Caiola, One of New York Cities Most Prominent Session Players Has Passed Away. 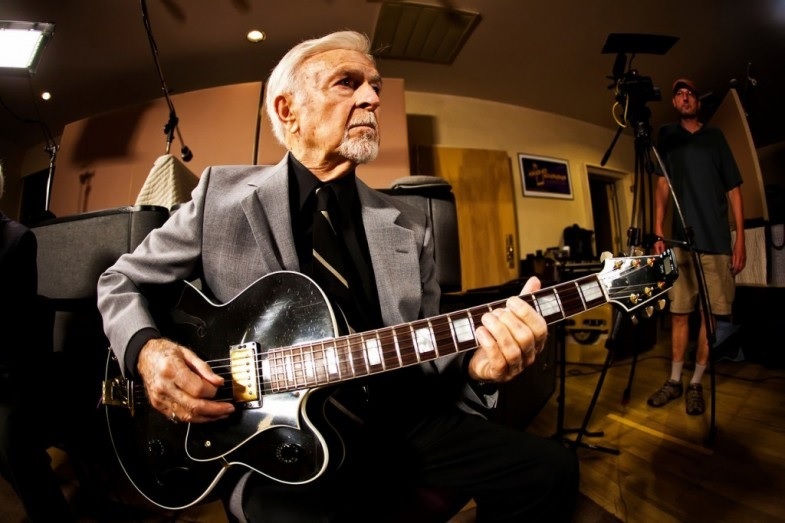 One of the greatest guitarists and most prolific recording session players passed away last week. 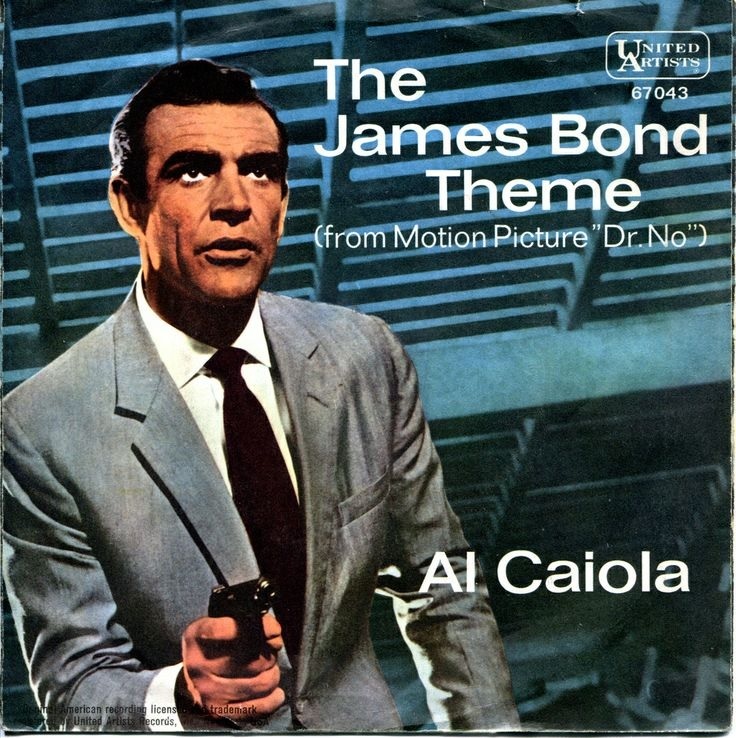 Al Caiola was 96 years old when he died on November 9th of this year. In addition to being an influential guitarist, he was a composer and arranger. His work spanned a diverse array of styles. 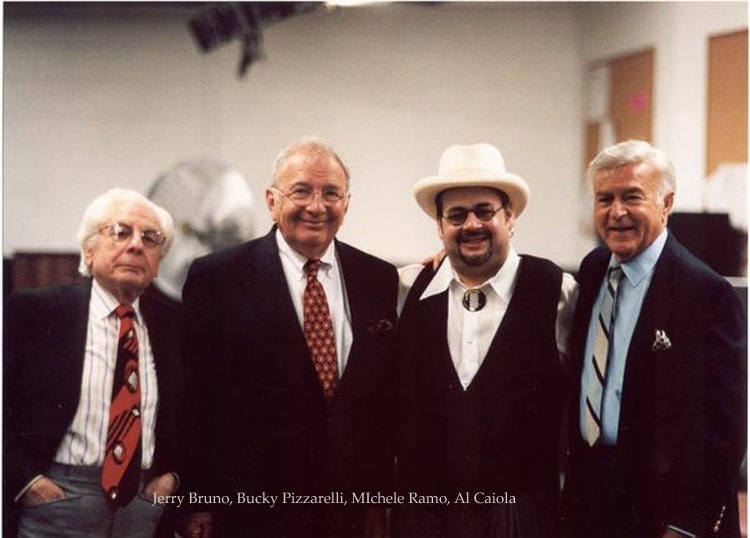 Caiola worked with many, many famous artists including Elvis Presley, Frank Sinatra, Mitch Miller, Tony Bennett, Buddy Holly, Percy Faith, Steve Lawrence, Bob Crosby, Tony Mottola, Bobby Darin, and others. The list of recordings that feature his guitar are almost too numerous to mention. 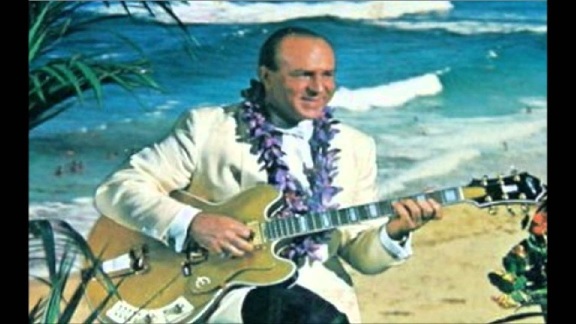 If you have heard Darin's recording of Mack The Knife, you've heard Caiola's guitar. 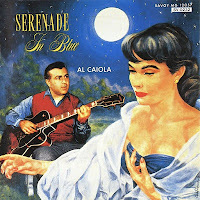 If you've heard Buddy Holly's True Love Ways, you have heard Caiola. If you've heard Petula Clark's Don't Sleep in the Subway, yes, that was Caiola on guitar. 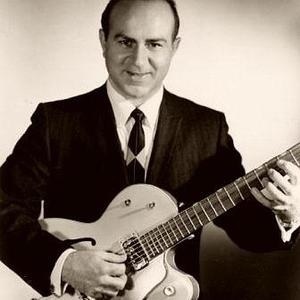 He has played guitar backing King Curtis, Perry Como, Glen Campbell, Buddy Holly and the Crickets, Paul Anka, Petula Clark, Burt Bacharach, Louis Armstrong, Benny King, Rosemary Clooney, Dion, Mary Robbins, Del Shannon, Barbara Streisand, Jackie Gleason, Neil Sedaka, Connie Francis, Andy Williams, Joe Williams, Tom and Jerry (Simon and Garfunkle before they were famous), Julie London, Solomon Burke, and so many others. During WWII he played in the Marine Corps 5th Divsion Band. 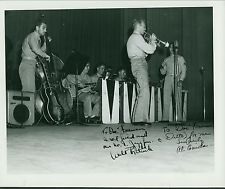 During the 1950’s he became a studio player and arranger in New York City. 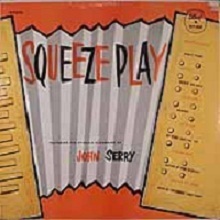 Early in his career, Al recording on Dot Records on an album called Squeeze Play that featured John Serry. 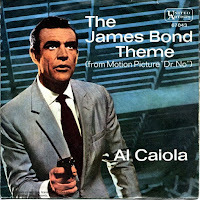 Caiola moved on to the United Artists label where he recorded the theme to The Magnificent Seven and the Bonanza theme. 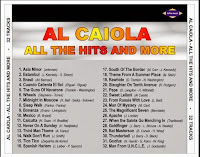 Caiola teamed up with arranger Don Costa and made at least 36 albums featuring his guitar playing with a large and lush orchestra. He also released singles that received air play back in the 1960’s. Other albums were based on the Western TV themes that were popular at that time, including Wagon Train (Wagons Ho), The Ballad of Paladin, The Rebel, The Gunslinger, Bonanza, and others. He also performed on albums based on movies such as From Russia With Love. He was a member of The Manhattan Guitar Club, which was a collaborative of New York City studio musicians that paid dues into this organization for use of Ampeg amplifiers that were kept in various recording studios. This amplifier had a lock on it in place of an of/off switch. Each member was given a key to the amp to use it when the played in that studio. 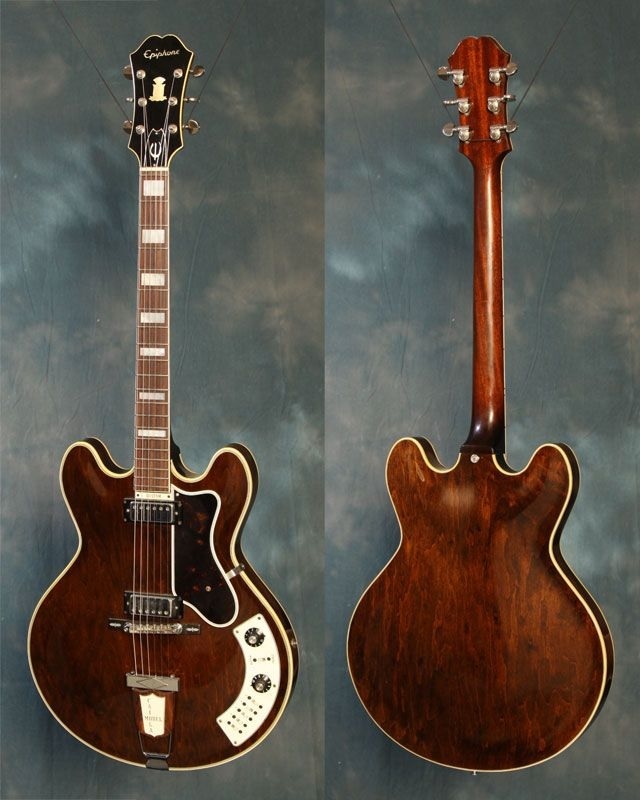 In 1963 Epiphone guitars, which was then owned by Gibson/CMI introduced the Al Caiol guitar. 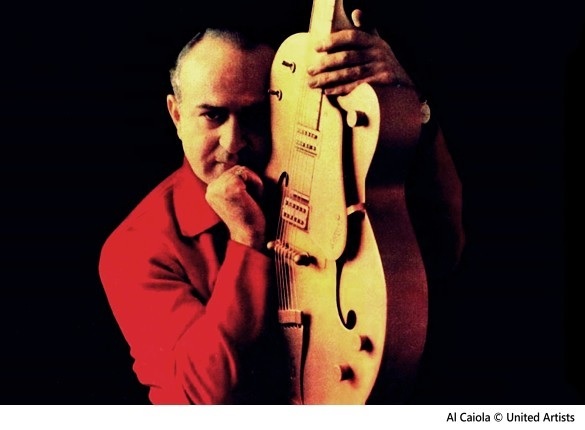 It was designed in the Gibson ES double-cutaway shape and called the Al Caiola Custom. 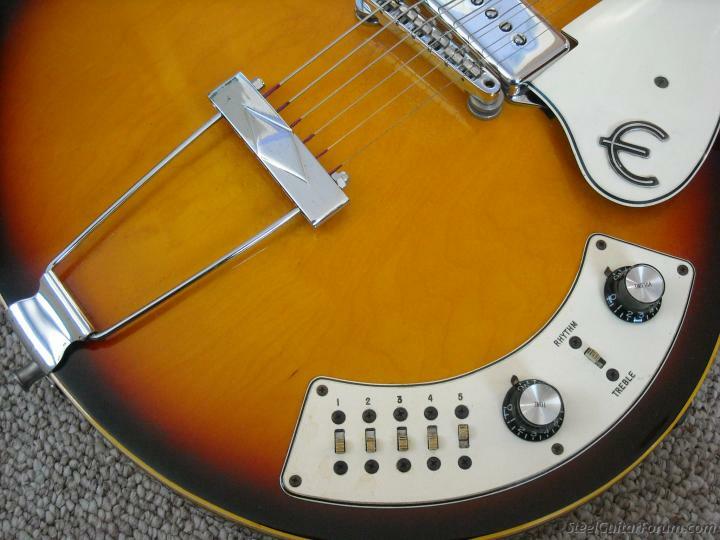 Although this instrument was semi-hollow, there were no f-holes. The 7-ply bound maple body was 16” wide and slightly less than 2” deep. The instrument came with a deluxe 5-ply pickguard. The bound neck was of a 25 ½” scale and the rosewood fretboard came with pearl block markers. The open-book headstock was inlaid with an “column” design done in pearl and elongated, as are Epiphone headstocks. It came with a zero fret. 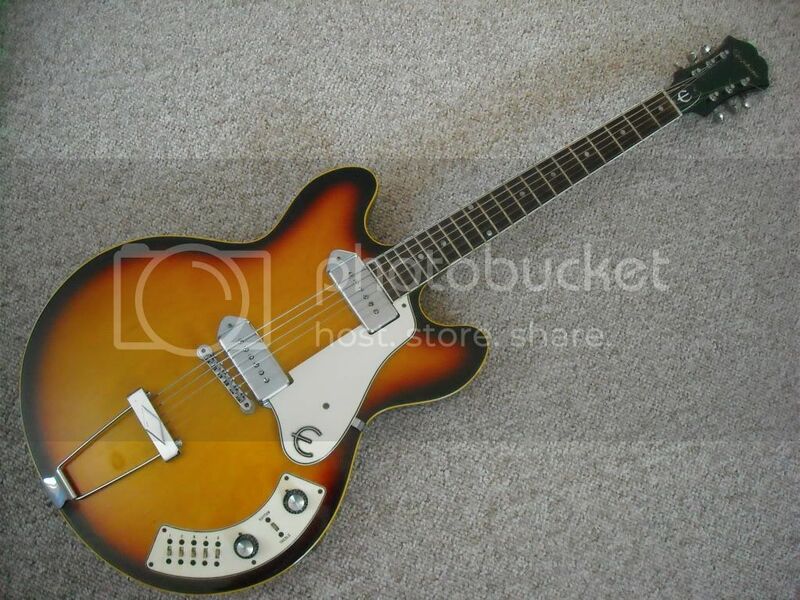 This guitar had two mini humbuckers, with volume controls for each pickup. It also came with an unusual feature; 5 “Tonexpressor” switches. The pickups were turned off and on with two slide pickup selector switches. 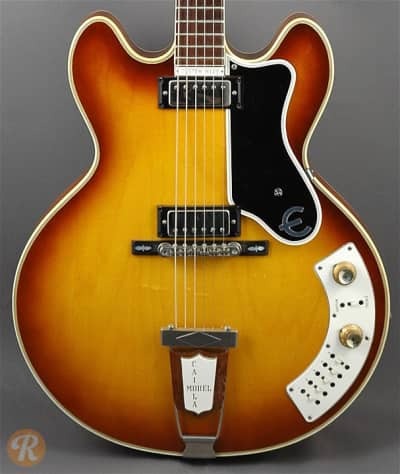 Three years later Epiphone introduced the less fancy Al Caiola Standard model. This came with twin dog-ear P-90 pickups. 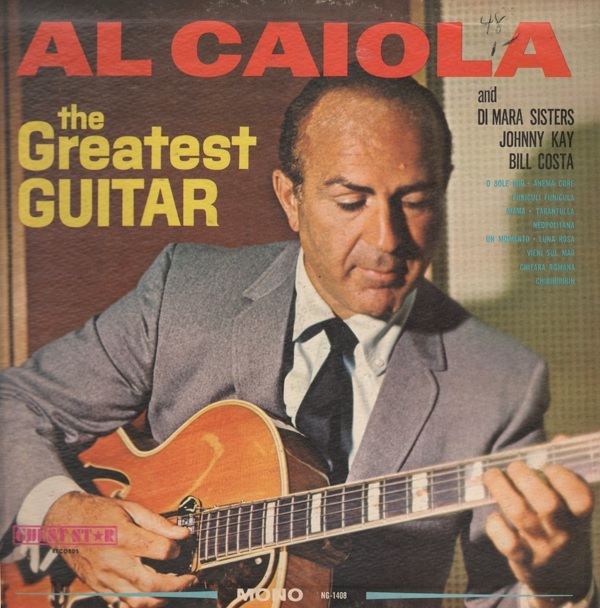 Earlier in his career Caiola can be seen playing Epiphone archtop electrics. 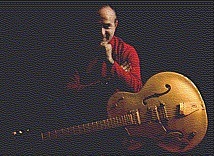 He was also well known for using a gold-coloured Gretsch guitar. 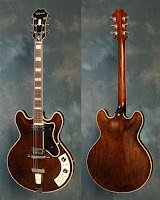 He did use his Epiphone signature model during the sixties. Most recently he played a large bodied single cutaway Heritage guitar. 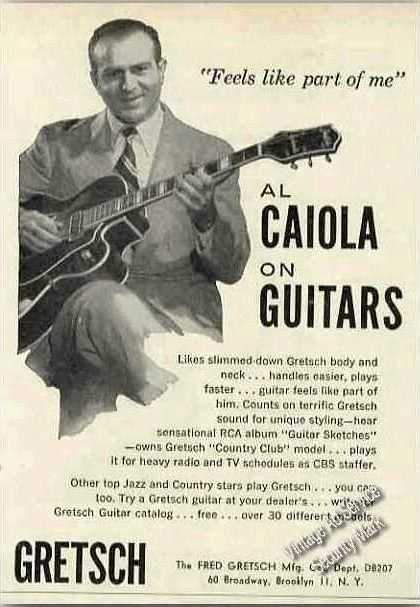 Though many modern readers may not know about Caiola, he was an integral part of modern guitar history. Click on the titles under the pictures to view sources. Click on the links in the text for more information about Al Caiola. There is a chance you're qualified to receive a Apple iPhone 7.